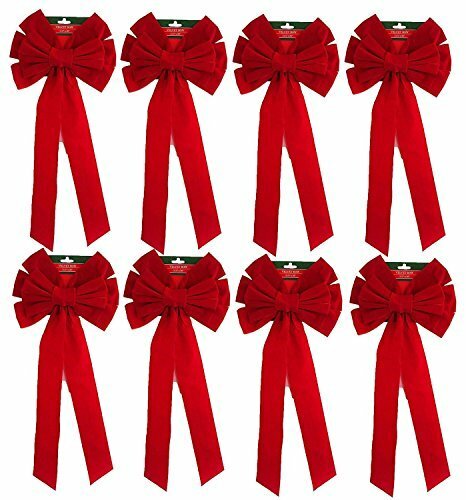 These traditional holiday bows are the perfect decorating touch for your Home, Office, Christmas Tree, Wreath or many other uses. Each bow measures 11.5" wide by 26" long. Great For Home, Office, Christmas Tree, Wreaths, and Other Holiday Needs! If you have any questions about this product by Blue Green Novelty, contact us by completing and submitting the form below. If you are looking for a specif part number, please include it with your message.